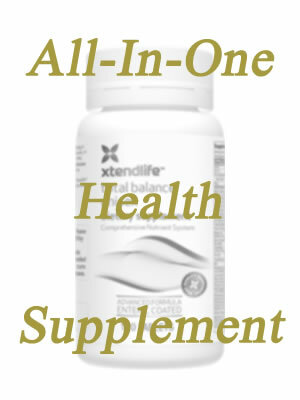 Amino acids are one of the central chemicals needed by the body to function well. They are the building blocks of proteins and serve as intermediates in protein metabolism. This article provides an a list of amino acids and offers you with more comprehensive information on how these chemicals help your body function well. The importance of amino acids is directly related to the indispensability of proteins in our body. Proteins are what make up your muscles, ligaments, organs, tendons, tissues, glands, nails, hair - almost every part of your body is made up of proteins. In the same way, repair, maintenance of cells and critical bio-chemicals processes in the body are dependent on proteins. What are the Two Types of Amino Acids? If you fail to obtain even just one out of the ten essential amino acids, your body's proteins so that obtaining all of them in your daily diet is a must. Also, unlike fats and carbohydrates, your body does not tend to store excess supplies of amino acids for later use - you should get a regular supply of them everyday. 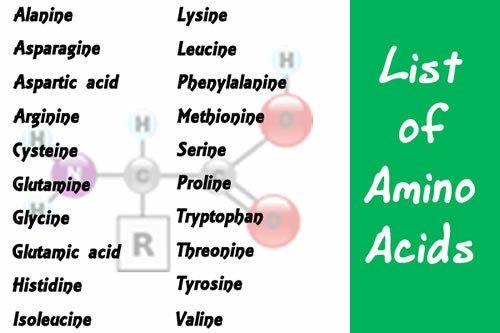 Foods with amino acids include animal and vegetable sources. Most of the animal sources such as meat, eggs and milk are considered to be "complete protein sources" meaning that these contain all the essential amino acids that your body needs. Vegetables are also good amino acid food sources (especially soy, nuts and beans) but most of them do not usually contain all of the ten. For instance, rice is not a good source of lysine and isoleucine. These days, deficiencies of the amino acids happen more often than you think. Many people, especially those who try weight loss programs and vegetarians, consume insufficient amounts of protein. Thus, supplementation of amino acids has been increasingly necessary. 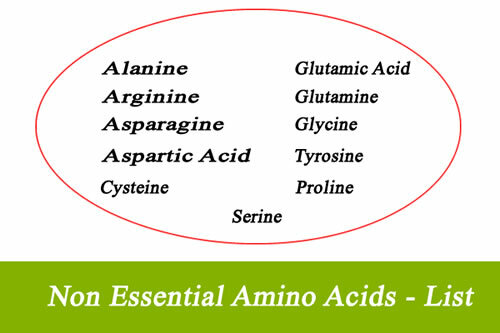 Amino acids provides the cells the building material to maintain their basic structure, helps them to produce the energy body needs and are essential for every metabolic functioning. How many amino acids are there? There are a total of 20 amino acids found in our body. There are 9 amino acids that are essential for your diet. We should note that arginine is also an essential amino acids during growth periods. Is Arginine an Essential Amino Acid? Arginine is known as a semi-essential or conditinally essential amino acid. If you are at a development stage or growth period, it is considered as an essential amino acid. For example, arginine is essential for infants and growing children. Is Histidine an Essential Amino Acid in Humans? Histidine was considered as an essenitial amino acids for infants only but further studies have shown that it is essential for both adults and infants. 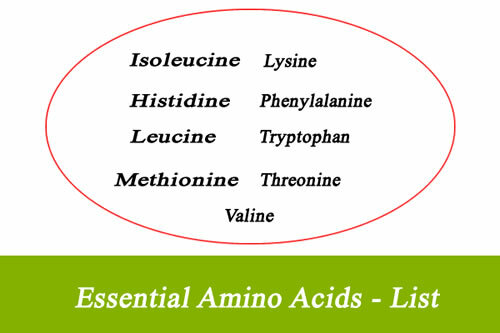 What are Semi Essential Amino Acids? Can your body manufacture the nine essential amino acids? In short, your body can not make essential amino acids. You have to get these amino acids from food sources.